Your Patients. Your Practice. Anywhere. 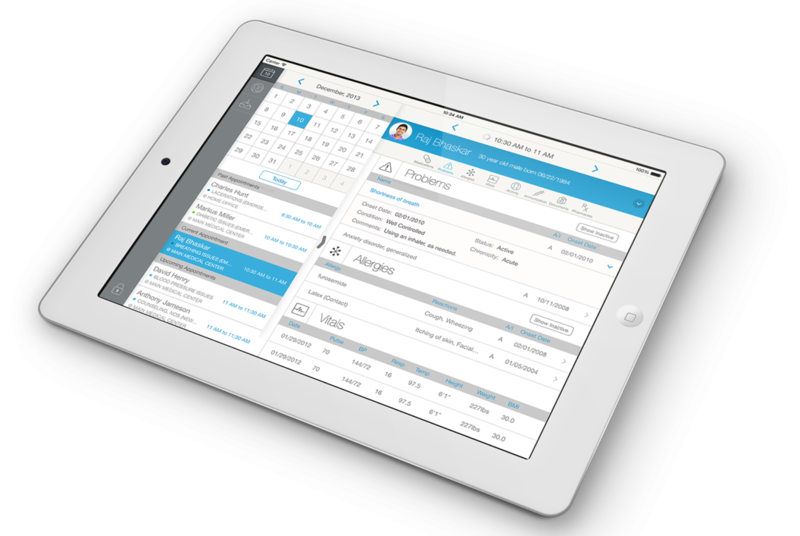 Manage your busy workday and quickly access patient data through CareCloud's mobile app. CareCloud Companion is a mobile medical app for doctors that lets you manage tasks from the CareCloud platform, and securely view your appointments and patient charts, even when you’re out of the office. You get anywhere, anytime access to the clinical, administrative, and financial information you need the most so you can improve productivity and enhance patient care. 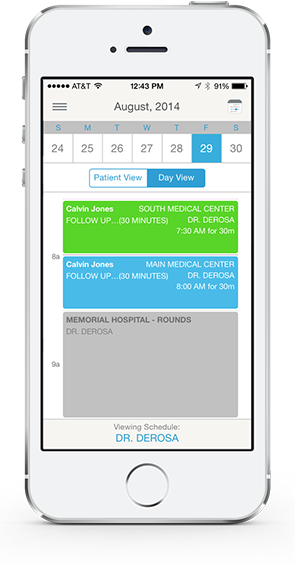 Companion gives you instant visibility into your personal schedule directly from your iPad, iPhone or iPod touch. Easily swipe through appointment details like patient demographics and visit specifics, so you can better prepare for clinical encounters. With Companion, you can also schedule and update appointments – directly from your mobile device – giving you more flexibility during your day. Companion lets you easily stay connected to patient data in CareCloud Charts, our cloud-based EHR. Simple swipes and one-touch access allows you to quickly view clinical documents (e.g., x-rays, encounter notes) or patient summaries like vitals, allergies, labs, and immunizations. 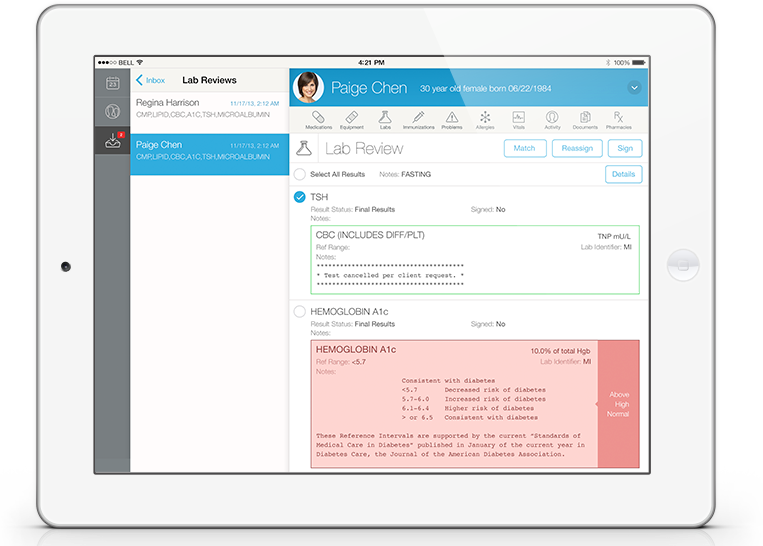 You can also review and sign incoming lab results, and approve medication refill requests directly from your mobile device. The result? Better, faster care no matter where you are. Unlike many apps for doctors, Companion allows you to quickly access patient charts and clinical documents from anywhere — delivering unmatched flexibility in managing patient care. And with timed lockouts, 4-digit PIN access, and Touch ID your mobile experience will be secure across multiple devices, whether you’re working at the office, at the hospital or at home. 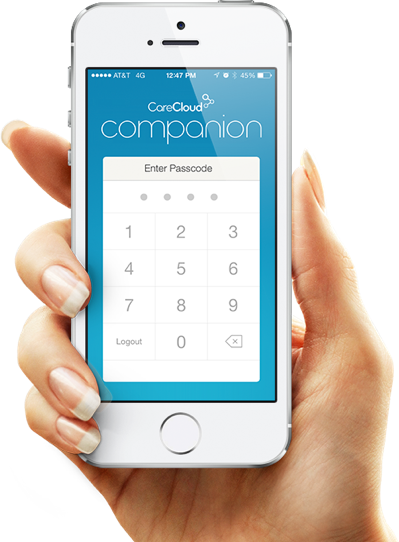 Download CareCloud Companion on your iPad, iPhone or iPod touch from the Apple App Store and log in with your CareCloud username and password to get started. Companion gives me the ability to check into my practice everyday from anywhere. By giving me immediate access to the patient chart, I can now respond more quickly to my patients -- in the office or out-of-the office -- whenever they need me. CareCloud Companion definitely makes my practice more productive. Companion allows me to access patient notes and take action quickly from any location. I was recently out at a restaurant and received an emergency call -- thanks to Companion, I was able to pull up the patient's chart and rapidly assess the situation.